Posted on October 20, 2011 under Coding, Social Media. Before you think that I spent the last one month in Singapore, let me say upfront that this post is about a little big data thought experiment involving Singapore and a whole lot of tweets. Some time back Eric Fischer posted some amazing maps on Flickr and elsewhere on the web visualizing tweets from Twitter and Flickr. 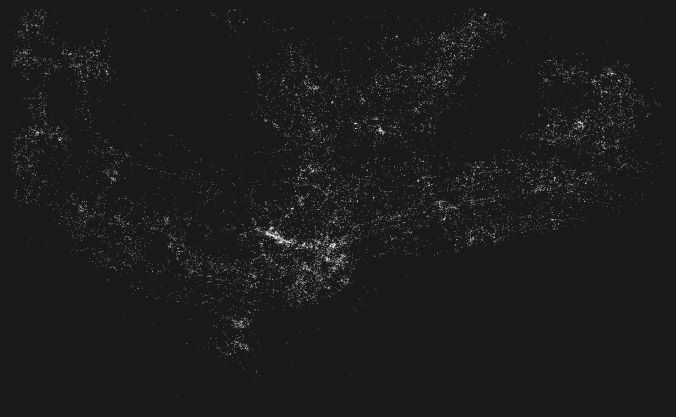 He basically plotted locations from where people tweeted and posted photos to Flickr from. The result – a beautiful map of the area which looks more like a night time view of the area from space!! Seeing this I was inspired to try the same. Initially I thought of trying it for Indian cities, however it seems that geographic co-ordinates are hard to come by for tweets from India. 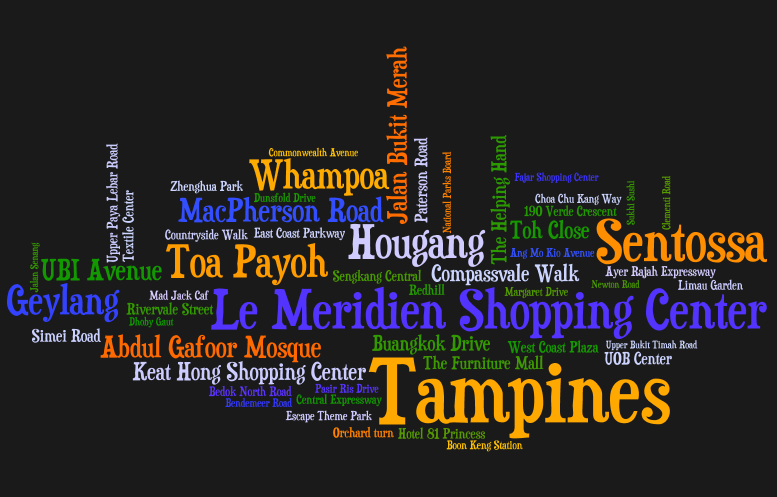 So then I randomly chose Singapore for this little experiment. I set up a small Ruby script that polled Twitter’s search API once every few minutes and pulled tweets from Singapore. These were then logged and stored onto simple text files. I ran this script for little over a month (August to September) and managed to collect about 225,000 tweets. Plotting them using R (without any projections) gave rise to this beautiful visualization. Some interesting features immediately come to light here. For instance the two huge vacant holes on the plot correspond to the two large national parks in Singapore. Concentration of tweets in other places also brings to light roads and other transportation conduits. I’ve put all this together in one gorgeous infographic which you can see here. This entry was tagged under: Big Data, Infographic, twitter. Both comments and pings are currently closed.